The article titled "Interacting Social and Environmental Predictors for the Spatial Distribution of Conservation Lands" appeared Oct. 14 in PLOS ONE. The Appalachians, an ancient series of mountains that extends from Alabama to northeastern Canada before plunging into the Atlantic Ocean and resurfacing in parts of Europe and even Africa, has a long and complex history of human development and land use. Though relatively large regions of the mountains and surrounding valleys are owned by the government and therefore publicly protected, the majority of the land is privately owned, especially in the lower elevations. Because of this, conservation easements are extremely important. These legally binding restrictions—placed on pieces of private property to protect the lands for future generations—are either voluntarily donated or sold by landowners. As joint senior authors, Baldwin and Leonard tested the "relative influence of interacting social and environmental variables on the spatial distribution of conservation easements by ownership category and conservation status." "Is the distribution of these easements driven by social factors? Or is it driven by environmental factors?" Baldwin said. "In our article, we concluded that it is more driven by social factors. We think people protect land that they know and love." 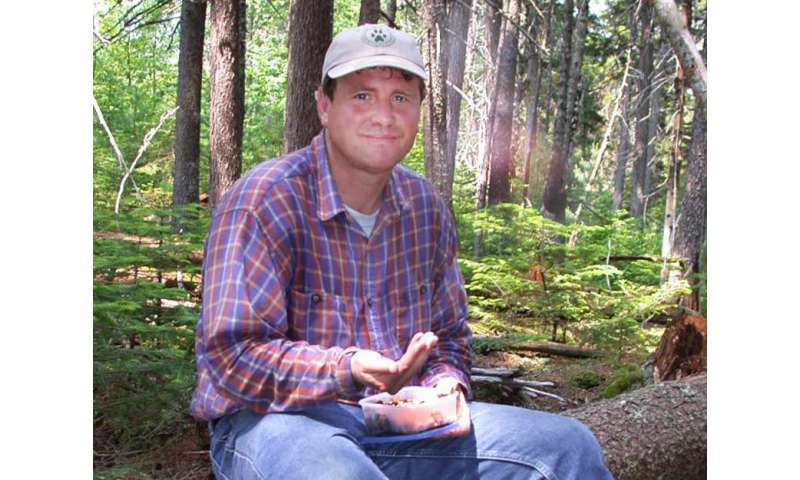 Baldwin, associate professor for Conservation Biology and Geographical Information Systems, has spent much of his career studying the fragmentation of wildlife habitats in North America. Because of this splintering—caused largely by human development such as cities, roads and farms—many animals have lost their freedom to roam within and between their natural ranges. This disturbing lack of mobility and resulting inability to intermingle has had a devastating effect on a plethora of species. Baldwin and Leonard, a postdoctoral scholar at Clemson, have been redesigning and enhancing state-of-the-art habitat connectivity maps that can be paired with satellite imagery to display the potential corridors used by animal populations to move between both large and small areas. These maps provide public and private decision-makers with highly detailed information about what areas are more valuable than others when it comes to re-establishing and fortifying these essential passageways. Both scientists have worked in collaboration with the Clemson Computing and Information Technology division. 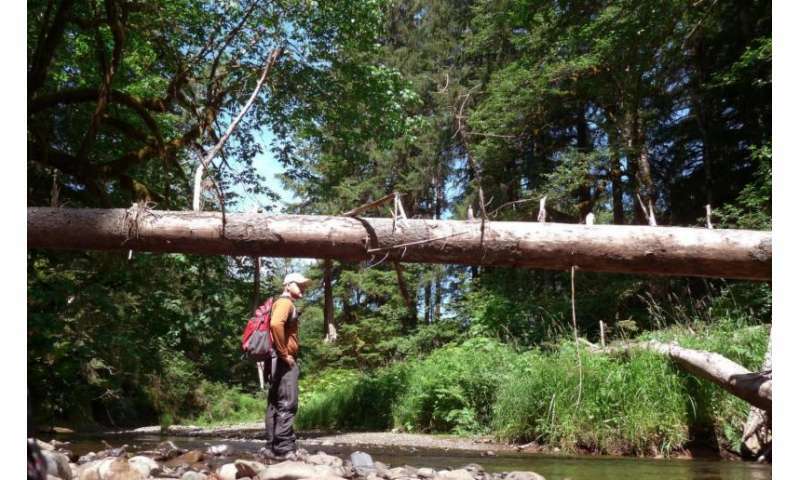 "Since it is unlikely that publicly protected lands alone are sufficient to conserve habitat for many species, we are investigating how private lands contribute to the existing conservation network," Leonard said. "Perhaps more importantly, these protected networks can't fully function without making the matrix that exists between conservation lands more permeable to animal movement." Parts of the article were inspired by a 2013 sabbatical taken by Baldwin and his family, who spent months travelling virtually the entire length of the Appalachians, starting in Canada and then working their way down to the southernmost portions. Along the way, they camped in a tent, explored as much of the land as time allowed and met with local conservationists. "I just wanted to get on the ground," said Baldwin, who chose the Appalachians because he views them as the unifying element for conservation in the eastern United States. "I sit here in my office and map the stuff at 30,000 feet, and I wanted to get out there and see the people who are interested in these maps and talk to the decision-makers who are using them."